Are you prepared to lose 10kg? To lose a whopping 10kg or more (and maintain it), you either need to religiously follow a restrictive formula for a lifetime and make the associated sacrifices, or you have to make an attempt at changing your brain’s wiring to ensure that you are more CAPABLE of success. Weight loss is more about how your mind is programmed than about the quality and quantity of food that you put in your mouth. 1 . DO YOU WANT IT ENOUGH? take 10-15mins every day to note down a list of all food you ate during the day and how it made you feel. If you aren’t willing to make sacrifices then regardless of the new diets that you try and the exercise you do, the odds are against you achieving your goal. 2.DO YOU BELIEVE YOU CAN DO IT? Do you believe that you are strong enough and ready to achieve success? Do you believe you are focused enough on your goal to exercise more and eat better? Do you believe you have the strength to make the necessary lifestyle changes whether your loved ones support you in your goal or not? Do you truly believe that losing weight would make you happier? 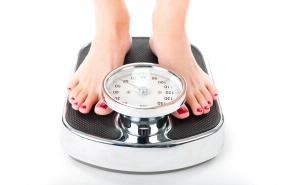 Do you truly believe that when you achieve your target weight that you will feel satisfied? Are you doing this for YOU or are you doing this for other reasons or to please someone else? You need to believe strongly in yourself and be intrinsically motivated to achieve results. 3.ARE YOU READY TO START NOW? Start small and start NOW. You need to build your confidence by making small changes and achieving little successes to achieve your long-term goal. Don’t try to make too many changes at once. Stick to small changes and start simple. Start stacking up the small successes to make it one big fat 10kg success! Embrace the things you have to change in your life and the sacrifices you have to make and start believing that you can do it. Even if they are small things - celebrate these little things as proof that you are already changing! You already know the things that you need to do to lose 10kg, so START NOW! For expert support on training or nutrition, meet our Personal Trainer or Nutritionist as the next step to achieve your goal.